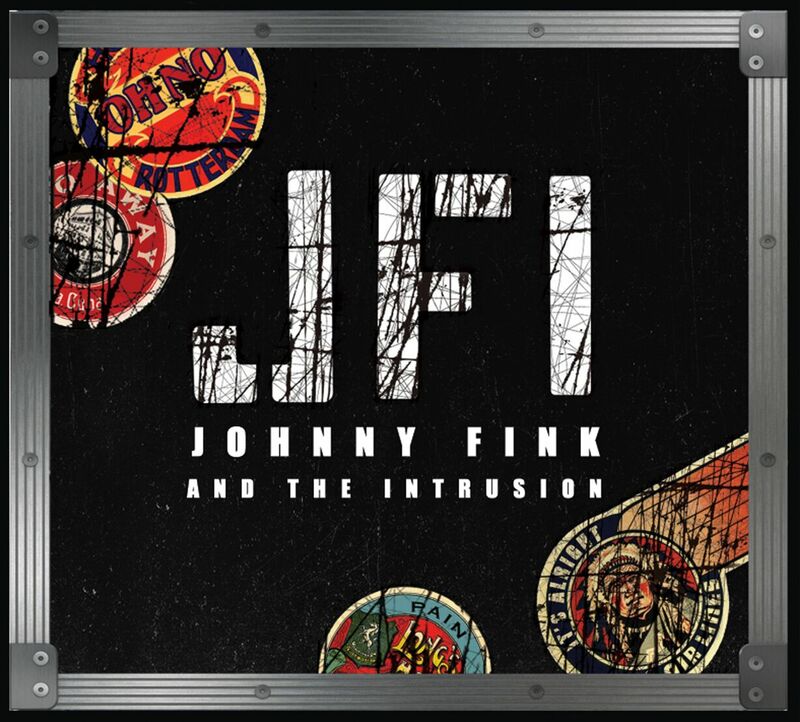 For a band with such longevity, experience and obvious ability, I am ashamed to say that this is the first time I have heard Jonny Fink and The Intrusion. They’ve been active since 1992 and made quite an impact on the blues scene in America, having won numerous challenges and awards. Their latest release is called simply JFI and across its nine tracks, all written by Fink, the best of blues and rock influences shine through. You will hear a broad spread of styles from early blues through to classic rock with hints of country-rock thrown in, although the blues are front and centre.. The first track has a closing door and footsteps heralding a spoken “Oh No” (also the title of the song) before it develops into an extremely well played Chicago styled blues with a subtle guitar solo which moves from slow to full blown in a great way. It also shows his capabilities as a vocalist and I love the ‘tribute’ to John Lee with the “how, how, how” at the end. A shuffle called Hey, Hey, Hey is up next and ticks all of the blues boxes with its gentle strumming as the bass and drums lay down the essential beat. It also telegraphs and then delivers an imaginative solo with tints of SRV. The Fall is a slow blues in every sense…the sort that Gary Moore made his own and like many of his, this one sounds so familiar and yet is very different to all of the others. Jonny shows he can do heartache as well as happy with a strong vocal performance and then makes his guitar convey the same emotions with a spot on solo. I hear hints of Elmore James in the slide led Let’s Hear Some Blues. The ‘crowd’ shouting the title and the bottle clinking effects are little annoying to me, but the tune is so good that is soon forgotten. It again takes a classic blues progression and feeds new life into it and the guitar mad part of me just revels in the slide sound he conjures up. Damn Broke is six minutes of aching blues with such obvious understanding between guitar, drums and bass it passes in an instant. The keyboards appear for the first time and help build the tension before a guitar solo with so much space and emotion. Blues with a rockier side is heralded by a glorious slide intro to Knew She Was Looking. When the band kicks in, it transports you back, with piano and riff bringing Savoy Brown crossed with Foghat to my mind. A tasty piano solo gives way to the bridge before a slide solo out of the Micky Moody school of slide…and that is a compliment of the highest order, although it was too short! Go Away opens with the kind of chord progression much loved by George Harrison before the bass and drums give a just right backing to a fascinating blues song. The guitar becomes a punctuating contributor until the solo which, again, has space so that the tone, the beauty of a guitar is illustrated without histrionics; just pure blues. At nearly 7 and a half minutes the slow blues rock of Pain has quiet and soulful vocals over soft chord work and subtle bass with careful rim snare. The guitar continues to tell the story when Jonny isn’t singing in a way that few achieve…some brilliant touches again on the extended solos… and the guitar nut in me rejoices! Final track, It’s Alright, sounds like it has been soaking up the blues of Willie Dixon before being born as a modern take on a song Dixon could have written for the Wolf. So this is an outstanding example of blues played well; with feeling and with deft touches that make it stand out from the crowd. No, there isn’t anything groundbreaking but even when the riff reminds you of other classics, it is delivered in such a way that you forget the roots and enjoy the interpretation. If you love guitar based blues (and who doesn’t?!) then you will find much to enjoy here.